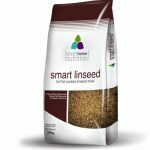 Smart linseed is pre-cooked so that it can be fed to your horse straight from the bag. 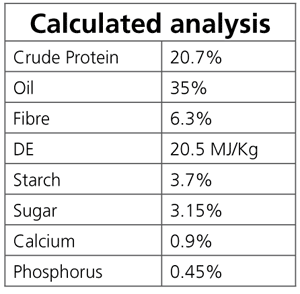 Cooking improves feed value and palatability and destroys the naturally occurring Linase. Linseed is high in oil and has been fed to horses for many years for its significant health benefits. These health benefits are predominantly linked to the high presence of Omega 3 fatty acids. 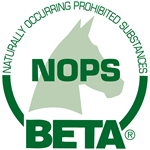 Feeding Smart linseed to your horse will promote healthy skin and will help with a high shine to his coat. Omega 3 fatty acids are thought to also play an important role in helping to maintain immune function and to support repair processes. 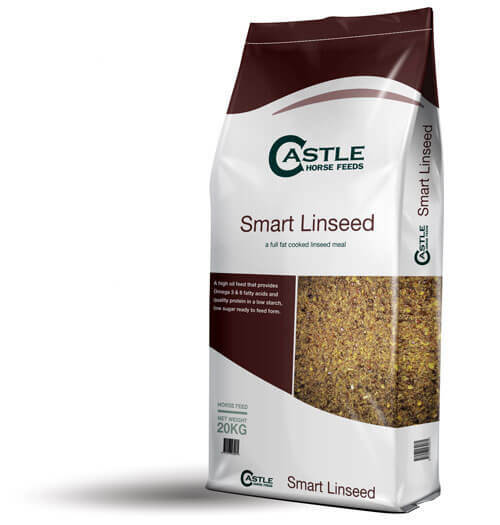 For weight gain, Smart Linseed can be fed at a rate of up to 1kg/day for a 500Kg horse. 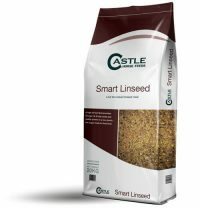 Always introduce Smart Linseed gradually to allow the digestive system time to adjust to the new feed.